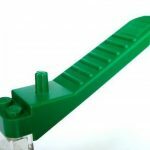 Where can I buy a LEGO brick separator? There are basically three kind of LEGO brick separators. All three very easy to differentiate from one of each other. First we have the Green one, which is th newest version. 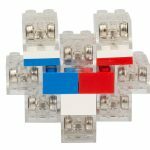 These ones will work for your LEGO Technic too. And this little tool is a must for all LEGO fans. Then we have the gray one. This is the most common piece, and works great too. Fortunatelly for those nostalgia LEGO fans, it is still being sold. But since 2011 it is not included in most LEGO boxes. 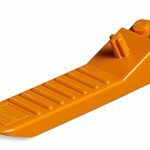 And finally, the orange separator, It most definitely works with the tiny legos. The little prong on the top help separate the connecter rods from their couplings. we love this tool. Your dentist will love that your kids aren’t trying to dismantle things with their teeth anymore! Also, this one is the percieved as most official. All three options are excellent options! And are a great investment for less than $10 any of the options. 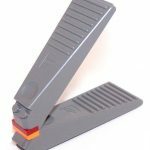 This entry was posted in Toys & Games and tagged brick separator, gray separator, green separator, lego, lego bricks, lego separator, orane separator on February 18, 2017 by WhereCanWeBuy.